Thailand Retreats has villas dotted all around the beautiful paradise island of Koh Phangan in areas including Thong Sala, Srithanu, Chaloklum Bay, Haad Salad, and Thong Nai Pan and there are restaurants and eating experiences to be explored in every area. 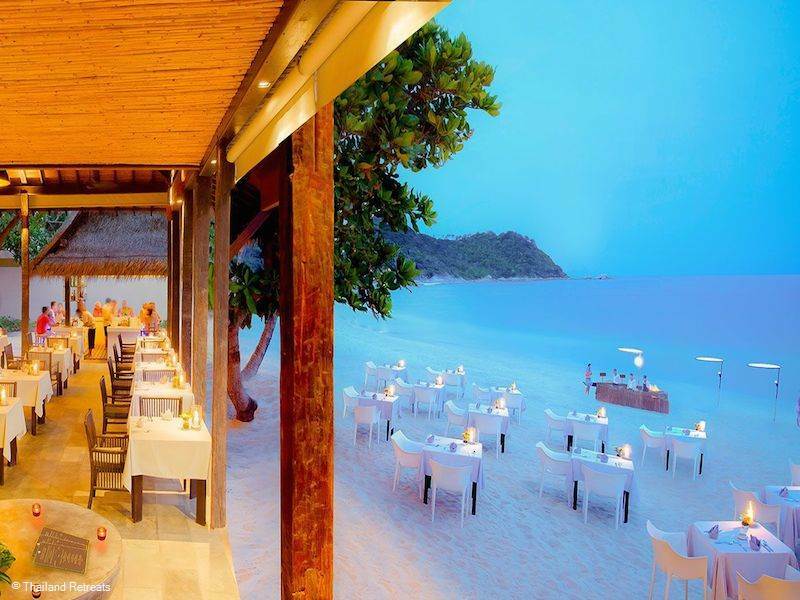 This beautiful restaurant on the beach is located at Thong Nai Pan Noi in the Anantara Rasananda Villa resort. It’s in a gorgeous setting on the soft white sandy beach with views over ocean and a choice of dining inside or alfresco. The menu is inspired by both local techniques and refined Michelin style. Highlights on the menu include the mouth-watering jumbo scallops wrapped in prosciutto ham and Gai Pad Med Ma Muang - a cashew nut and chili jam chicken stir fry served in a pineapple. 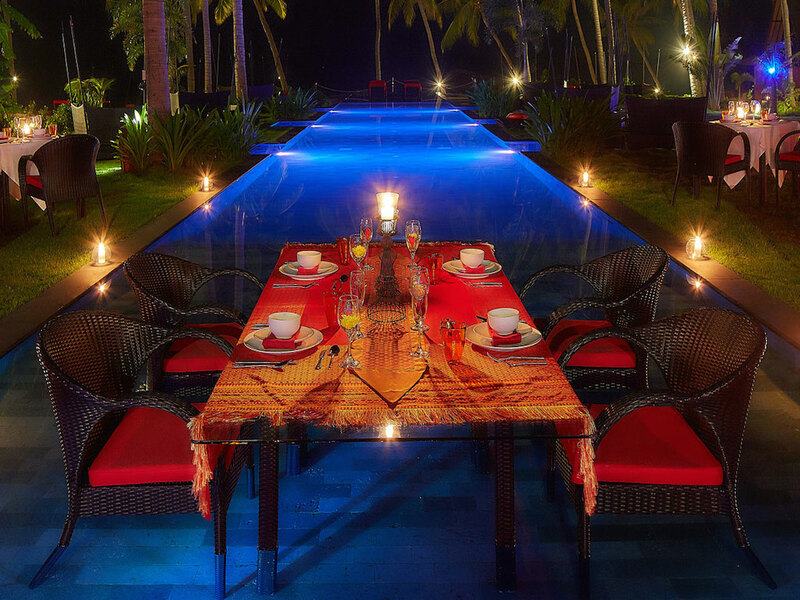 This restaurant is part of the Kupu Kupu Phangan villa and spa resort. The restaurant serves modern Thai dishes and fresh seafood, but perhaps the most special part of this place is it’s setting on the beach and the romantic dining packages you can book. They include ‘dining under the stars’ on the deck of a secret suite on a cliff edge or a romantic beach BBQ in a cabana made for two. Your personal waiter and 300 flickering candles will be waiting on a powdery sand beach. This is a popular steakhouse that imports cuts of meat from around the world including New Zealand fillet, Argentinian tenderloin and Wagyu Beef. If you are looking to enjoy one of the best steaks on the island and great views then head for Haad Salad beach where you will find the Peppercorn Restaurant at one end of the beach. 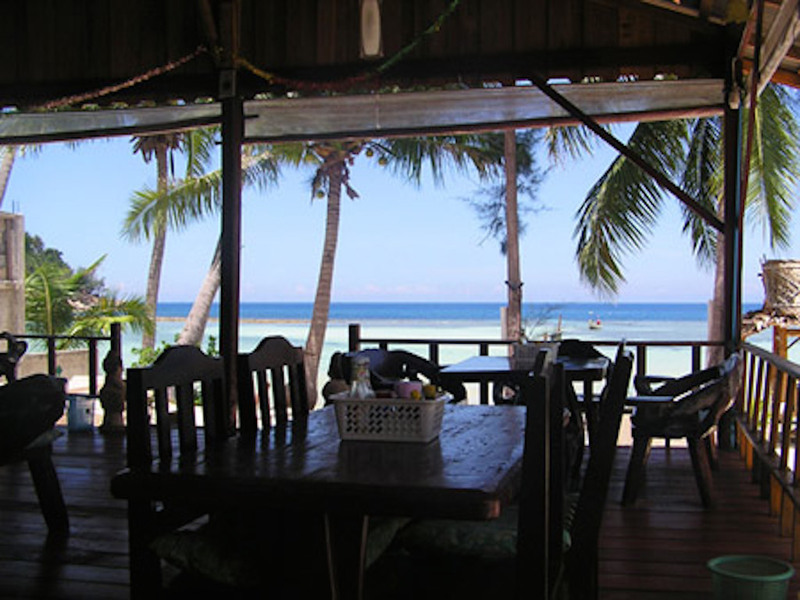 Koh Phangan is the perfect spot to pick a beachside restaurant, sit back, relax, watch the sun go down and enjoy an ice cold drink. There are many relaxed spots to choose across the island. Whether you're staying put in your resort or exploring the island, you’ll find plenty of places to chill out and enjoy across Thong Sala, Srithanu, Chaloklum Bay, Haad Salad, and Thong Nai Pan. You’ll find simple bamboo and thatch eateries offering fresh grilled seafood, authentic Thai dishes, and a good smattering of Western influenced restaurants. Beachlounge on Thong Sala beach - try gin and mai tai cocktails, fresh fish including sashimi, delicious lemongrass shrimps and snapper or indulge in authentic Thai cuisine. 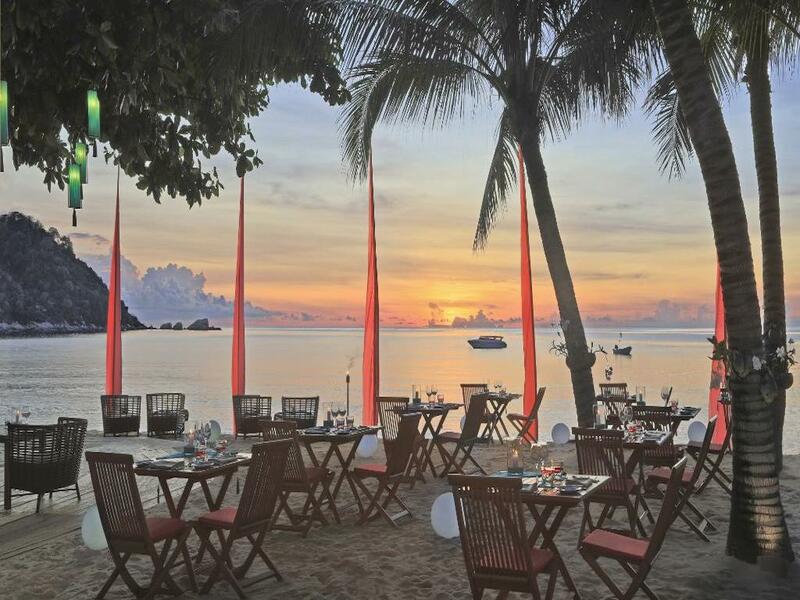 Fisherman’s Restaurant and Beach Bar, Ban Tai Pier - Thai fusion cuisine in a simply stunning beach setting. They specialise in crab caught fresh on the day, but have plenty of options to make the tastebuds tingle for non-seafood eaters. The Beachclub restaurant at Baan Panburi in Thong Nai Pan Yoi - there is a BBQ most evenings featuring fresh fish and steak, not forgetting excellent Thai Green Curry and cocktails galore. Milky Bay Resort at Ban Tai - It’s situated right on the beach and there is a range of options to savour - sunset cocktails with delicious sounding names like watermelon cup and coconut dream, take in a beachfront BBQ, enjoy a pizza from the woodfired oven or sample some authentic Thai cuisine with popular noodle, stir fry and curry dishes on offer. Luna Lounge - you can have a lovely eating experience here. They have an excellent wine selection and some beautiful tapas dishes to choose from including mango quesadillas, coconut shrimp and duck rolls. Also on offer are Western inspired meat dishes, authentic Thai cuisine, fresh salad, seafood and baked flatbreads. 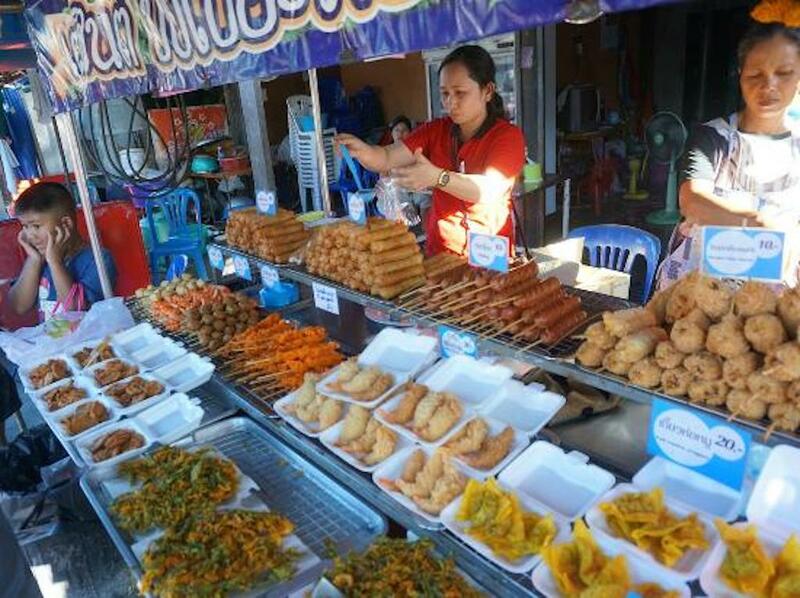 You’ll find plenty of street stalls dotted around Koh Phangan, but if you head to Phantip night market you’ll find a massive selection of street traders all in one location. The night market is in Thong Sala. The market is open every night and you’ll find nearly any Thai food you might fancy here as well as western style foods like spaghetti and burgers. As far as Thai goes you’ll find curries, Tom Yum Soup, noodles, seafood soup, spring rolls, barbecued meat on sticks, sticky rice. The fresh fruit juices and shakes are also delicious and you’ll find a range of Thai desserts like Khanom and Khao niew maa muang (mango and sticky rice) and fried bananas. You can eat like a king here, at very little cost. An experience not to be missed. For the ultimate in luxury at some of our villas we can offer the services of a private chef for the duration of your stay. Check out Secret Beach Villa, Dee Dee Retreat and La Villa.